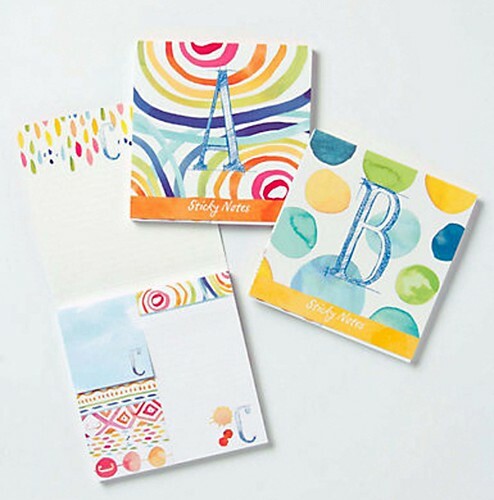 I had the best time ever working on a bevy of watercolor patterns for this custom set of monogram sticky notes exclusively for Anthropologie in collaboration with Galison. Check em out. that is so awesome! they turned out so pretty! Thank you so much Kelsey!! You’re the sweetest!!! And Chelsea…so glad you like!!! XOXOXOXOX. thanks Anna. Been thinking about you. Would love to see you, Vera and Sean soon!